It was a helmets only walk through practice for the Huskers as they get geared up to take on Illinois this Saturday. 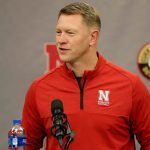 With Lincoln experiencing some snow, head coach Scott Frost wanted to get his players outside for a taste of what Nebraska winters can look like. The weather could play a factor for the game, although snow is not in the forecast for Saturday. Frost also mentioned that he was familiar with Illini head coach Lovie Smith’s defensive scheme, having played in it when Frost was a safety for the Tampa Bay Buccaneers back in 2003. 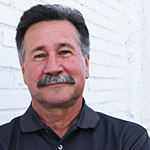 Smith was not coaching in Tampa Bay at the time; however the “Tampa 2,” a variant of the “Cover 2” defense, is the defense Smith has installed at each of his head coaching jobs. That said, Illinois is ranked 127th in the nation in total defense. The Illini on average, give up 524 yards per game. Their opponents are averaging seven yards per play. Nebraska takes on Illinois this Saturday at 11 A.M.